Do you want to change, but don’t know how? Perhaps you know you need an attitude adjustment. Or, maybe there’s a bad habit with which you struggle. If so, I can relate. When You’re Struggling with Impure Thoughts or a Critical Spirit, Pray…. Spiritual Principle: The more we know who God is, the more we can and will turn our eyes from our inability to His capability. During the period that God directed me to look up at Him in whatever situation I faced, I was asked to write the book, Pray with Purpose, Live with Passion and the journal, Prayers of My Heart. What began as a collection of twenty-six A-Z attributes and ways of journaling praise, repentance, asking, and yielding (P.R.A.Y.) 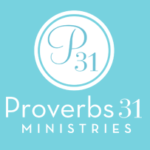 has now expanded to a collection of 365 names, titles, and character traits of God that I daily send out through “365 Days of Praise – Beyond Ourselves.” There’s not a day that there’s not a praise for God’s nature in whom we can find hope and strength. How have you found the practice of “looking up” at God’s divine nature in praise to be transformative? Leave a comment below, along with the U.S. state where you live, and you could win a free, signed copy of Debbie Taylor Williams’ new prayer journal, Prayers of My Heart. 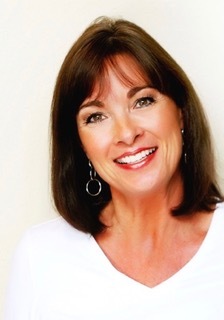 Debbie Taylor Williams is passionate about helping others know Jesus and grow in their walk with Him. Her P.R.A.Y. with Passion Across the Nation Conference , based on her books Pray with Purpose and Prayers of My Heart, has been held throughout the nation, and her “365 DAYS of PRAISE- BEYOND OURSELVES” blog and podcast lead thousands each day in praise. She’s the author of seven books, is a newspaper columnist, and blog contributor to MomLife Today and A Wife Like Me. When Debbie isn’t writing or speaking, you’ll find her at a kickboxing class or enjoying time with her hubby cooking, hiking, golfing, or fishing. Debbie and her college sweetheart, Keith, whom she married in 1975, have two married children and five adorable grandchildren whom she loves babysitting. on One Simple Way to Change. Thanks for sharing this blog post. It’s exactly what we’ve been talking about in our small group. Im from Minnesota. We’ve read a few of Cindi’s books together already! Great to hear from you again, Julie. I know your group would love Debbie’s new prayer journal, too. Thanks for your comment and for reminding me of you gals there in Minnesota. Hi Julie, you’re so welcome. I’m always thrilled to share Jesus! Where in MN do you live? I brought my P.R.A.Y. with Passion Across the Nation there several years ago. Hello Sarah, so good to hear from you again. You are right. Prayer is so essential yet seldom utilized. Thanks for your comment. Hi Sarah, I agree with you that prayer is under utilized in our Christian walk. I’d love to hear the blessings of you praying with a different attitude. I was in Boise July 13 leading my P.R.A.Y. with Passion Conference. Were you, by any chance, there? God is my ever constant comfort in all situations. As a Christ centered Celebrate Recovery attendee, He has shown me grace, forgiveness and a peace in ‘let God and let go’. Prayer can be one or two words or many words….God knows our needs. Great insight, Pam. Thanks for sharing it with my blog readers. HI Pam, isn’t it wonderful that our relationship with Jesus is so personal? I agree with you that there is no single way to pray. We can let the words of our heart flow to our Heavenly Father in few or many words. Thanks for sharing your thoughts. I am praising God right now for this devotional because it is an answer to my prayer for change. The Lord is telling me to “Look up” to Him in praise in all of my circumstances. I am from Ohio – the Buckeye State. ? I find this very informative, inspirational and personal. To know God and live in his presence is to seek him in prayer and his word. Excellent work my spirit is refreshed. Hi Lolitha, I’m so glad to hear that this has been informative and inspirational; that your spirit is refreshed! All praise to God. This is where I definitely have trouble. I want to change and be less critical of myself and others. Thanks for your comment, Sue. I think we all need to be less critical of ourselves and others. And looking up in prayer definitely changes us and makes us grateful people, rather than critical people. Hi Sue, the Lord loves when we desire to follow hard after Him as you are. Thanks for your comment. It’s great to connect here. So thankful and very helpful to have this encouragement. Thank You Cindi! You’re welcome, Jeanette. Don’t forget to let me know which state you live in. When I’m in physical or emotional pain, praise lifts my focus to my heavenly Father and His peace and love flood my soul. Thanks for your comment, Dianne. Oh how this touches my heart. I keep falling back into the same ol same. Would love to have the prayer journal. I live in the beautiful state of Tennessee. Thank you for sharing this blog. I have been transformed and set free by “Looking Up” and praising God for ALL that He has done and is doing in my life and the lives of those around me, especially my children and husband. We have been under attack and the Lord is showing us, moment by moment how much He loves and cares for us. He has shown me how to lean not to my own understanding but how He is my fortress, my strong-tower. All Praise and Glory belong to Him! Thank you, Jynhae, for sharing with me and my readers your steadfastness and faithfulness to God in spite of the attacks. He honors that kind of unwavering trust. Jynhae, I’m rejoicing with you! I was encouraged by this article on how I can pray when I am not sure what to pray. I live in Michigan. Thanks for sharing this encouraging post. Perfect timing. I have to always remind myself that the Lord is with me everyday in everything I do. Whenever I get discouraged or worried, I have to find some scripture verses that set me back on track. Wow, this morning I said to the Lord, what is my purpose? Reading this blog, my answer came. Pray with purpose, and you will find your purpose. Praise God. Thank you for sharing this insightful blog. You’re welcome, Ramona. Thanks for your comment. I’m glad Debbie’s guest blog was perfect timing for you. Hi Ramona, God is so good to answer us when we call to Him! Thanks for sharing. And always, no matter, keep my eyes looking up!! Praise to our God! You’re welcome, Beth. And thank you for taking the time to leave a response. I have read many of your books Cindi, and I often refer back to some of the chapters as devotions. 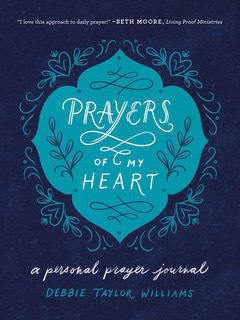 I would love to receive a copy of this prayer journal. Thank you for your blog. I enjoy reading it and always find it encouraging. Thanks, Dawn, for reading my books and blogs. ? I’ve emteted you in the drawing for Debbie Taylor Williams’ new prayer journal. Thanks, Doris. You’re not too late for the giveaway, although I did ask that each reader commenting also include the U.S. state in which they live. I’m assuming you’re in the U.S.? Peace Cindi, I stumbled upon your site after googling “should I pray for a husband?”. I am a divorced single mother of two children ages five and 10. We live in Chicago, IL. I was just talking to my mother (who was a widow for eight years then found an amazing man of God at age 70) last night about waiting on God to choose my mate. Shortly after my mother remarried, her husband was diagnosed with stage 4 prostate cancer, and they are growing together in faith through it. The more I live the more I realize that God’s timing is perfect and to trust it. We never know what trials will be set before us and marriage is hard work. Your story is very inspirational and your books look very motivational. When I get the money I will be supporting you and hopefully they will uplift my spirit and help me to be patient and wait on God’s timing!